Loco2 has arrived at your digital platforms by making travel around Europe simpler, quicker, and altogether more straightforward. With a love for European train travel and a desire to make it accessible to everyone, both in terms of ease of booking and in terms of price, Loco2 is fuelled with a mission to building a sustainable and fun travel future. i-genius member Anila Babla talked trains with us on why we should all join the locomotive travel journey whilst at the same time reducing our carbon footprint. i-genius: What is unique about Loco2? 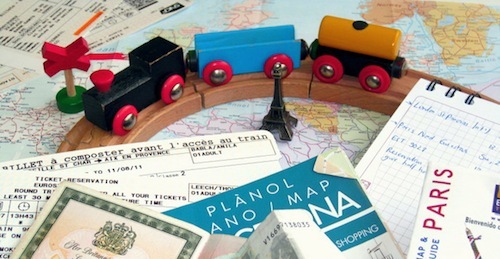 Anila: Loco2 is the first independent, non-rail operator owned company to sell train tickets to destinations in Europe. We were among the first to offer print at home tickets for lots of routes, which means that our website is used by customers all over the world. We’re always coming up with new ways to improve the booking experience too; from letting users choose their seat on double decker TGVs, to creating our shopping basket so you can buy multiple journeys at once. We are motivated to be the best and live for customer feedback. i-genius: Why did you join the i-genius network?